The Eye of the World (The Wheel of Time #1), Robert Jordan. New York: TOR Books, 1990. Summary: Following an attack of trollocs and a Myrdraal on Emonds Field, Rand and two friends, joined by several others, flee when they realize that they are the object of the attack, and somehow at the center of a web of destiny that may either thwart or aid the rise of the Dark Power. Rand and his two friends Mat and Perrin, along with Egwene, the innkeeper’s daughter seem ordinary youth in a remote village, Emonds Field. Egwene is apprenticed to Nynaeve, the Wisdom (a kind of healer) of the village. The greatest excitement comes at Bel Tine, a feast at which Thom Merrilin, a gleeman or storyteller arrives. All this changes when it turns out that a strange, dark figure (Myrdraal) each of the boys sees leads a fist of trollocs to invade the village. Tam, Rand’s father is nearly killed and bequeaths his heron-mark blade sword to Rand. A regal woman, Moiraine heals Tam, and then helps the young men see that they were the object of the attack, and one or all are at the center of a web of destiny in a battle against good and evil. To save Emonds Field from further attack, they must flee and make their way to Tar Valon, where Moiraine is part of an order of Aes Sedai, women who have been trained to channel the One Power to resist the Dark Power as well as to “gentle” men who cannot wield the power without becoming insane. This results in a desperate flight by the boys and Egwene, Thom, Moiraine, and her warder Lanb, pursued physically and even in dreams by the powers of evil. Nynaeve, concerned for her villagers, tracks them and joins the company. Mat is compromised and nearly lost when he steals a dagger from a hoard in an abandoned city. The party is separated, and except for Thom eventually make it to Caemlyn, where they are reunited. Thom, who was with Mat and Rand, sacrifices himself so they can escape, although there is a question of whether he really died. It is here that Moiraine understands the true threat of evil to the Eye of the World, a pool thus far untouched by evil, and Rand understands that he is at “the heart of it all” a ta’veren or a person around which the Wheel of Time weaves surrounding life threads, forming a Web of Destiny. The company, joined by Loial, an Ogier, pursue desperate ways through the Blight to confront evil, and for Rand, to confront his destiny. Jordan’s work has been likened to The Lord of the Rings. Except in sheer length of the fourteen volume series, I do not think he surpasses him, and there are elements that are at least parallel to, if not derivative of, Tolkien–a remote people, ordinary figures caught up in a great conflict, a company, dark riders, a desperate flight and quest against the rising of a Dark Power who threatens the world. That said, Jordan has also created a richly textured world with a history, a unique vision of time, and a seemingly different way of thinking about power that seems more eastern than western. Light and dark seem two sides of the same coin. It turns out that only women who have been trained can wield the One Power as a force of Light. Men are turned insane by it or to instruments of the Dark Power, something that will become an issue for Rand. Time symbolized by the Wheel with an intertwined snake swallowing its own tail brings past, present and future together and weaves a fate for individuals. Instead of “God works in mysterious ways” it is “The wheel weaves as the wheel wills,” which is repeated near to the point of becoming tedious. As in real life, forces of good often are at cross purposes–different orders of Aes Sedai, the Children of Light, and the various kingdoms, all at some point becoming threats to the quest as much as the Dark Power. Jordan creates strong female characters. Aes Sedai Moraine leads the party and wields great power. Nynaeve the Wisdom and even Egwene have their own power, Moiraine seeing them as Aes Sedai in training. Caemlyn is ruled by a strong queen, Morgase, to be succeeded one day by her daughter Elayne. I can’t think of an evil female character in this volume. Not so with the men, such as Padan Fain, the evil peddler and Dark Friend. Yet there are both strong and delightful male characters from some of the innkeepers to Thom, the gleeman, who lays down his life and most of all Lan, the warder, descended from kings (one thinks often of Aragorn). So the question is, will I go on? I can say that I will not be binge-reading the series. Yet the writing held my attention, and I find myself caring about what will happen to Rand and the others. I wonder if the Dark Power will be defeated and I’m curious why it takes fourteen books. It is clear that Jordan’s plots take many twists and turns, only some of which resolved in this book. I wonder how patient I would be with this over such an extended series. The Greater Trumps, Charles Williams. New York: Open Road Media, 2015 (originally published in 1932). Summary: An legacy of a singular pack of tarot cards that correspond to images of the Greater Trumps arranged in a dance on a platform of gold in the retreat of a gypsy master drives his grandson to risk love and life to uncover the powers of the cards. Charles Williams is known as one of the members of the Inklings who wrote supernatural fantasy thrillers. Lesser known was his interest in the occult arts, particularly through the influence of A. E. Waite and his Fellowship of the Rosy Cross. This work reflects some of those interests, centered around the Tarot. Lothair Coningsby, an English civil servant of undistinguished refinement, inherits a small legacy from a friend including various packs of cards. Among them is a most unusual early set of Tarot cards representing the Greater Trumps, a suit of twenty-two cards. As it happens, his daughter Nancy is deeply in love with Henry Lee, a descendant of Gypsies, whose grandfather, Aaron is a master who has devoted his life to the studies of occult mysteries. In his home is an inner sanctum with a gold table on which the figures of the Greater Trumps are arranged in the dance. When Henry sees the cards he realizes that they are the exact visual counterparts of the statues on his grandfather’s table. To bring the cards together with the statues would be to unleash great power, and great insights into the mysteries of the universe. There is only one problem. Coningsby will not part with the cards. So Henry and his grandfather invite the Coningsbys to spend the Christmas holidays. This includes not only Lothair and Nancy, but also Sybil, the most spiritually centered, who seems to have a mystical communion with the world about her, and brother Ralph, a young man who lives in a common-sense, practical world. Coningsby reluctantly brings the cards and permits them to be tested in the presence of the figures, which come to life in a glorious dance. When Coningsby continues to withhold the cards, Henry determines to “borrow” the cards, and use them to whip up a super cyclonic snow storm to strand Lothair, out for his Christmas walk, and bring about his death. He succeeds in whipping up the storm, but Nancy catches him in the act, disrupting his efforts, but also the power to end the storm. Lothair is saved when Sybil braves the storm, and with the help of Henry’s half-crazed Aunt Joanna, brings him back to the house. But this is only a temporary respite as the unleashed powers behind the snow storm threaten the destruction of the house, and all those in it. Is there a power greater than that unleashed by the cards? When arcane knowledge cannot save, is there anything else that can? Nancy, Sybil, and even Lothair and Henry choose in different ways to lay down their lives. Will they succeed, and what will happen to them in the process? What will happen to crazed Joanna, and will she find the lost child? Like William’s other works, seemingly unremarkable people in an ordinary English village and manor house become caught up supernatural events reflecting unleashed spiritual powers in a sequence of fantastic and sometimes bizarre events (like the gold cloud). Christians who have reservations reading about the “occult” may decide this work is not for them. Yet what Williams portrays is both the perils of the pursuit of spiritual power and hidden knowledge, and the greater power of love. 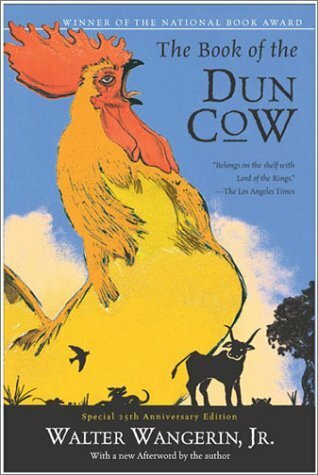 The Book of the Dun Cow by Walter Wangerin, Jr. San Francisco, Harper Collins, 2003 (25th Anniversary Edition). Summary: This modern animal fable portrays a conflict between the beasts of the Earth with Wyrm of the underworld and his evil surrogates, and the heroism of a rooster, a dog, and the other beasts. “Marooooned”. This modern-day animal fable (first published in 1978) begins with this mournful and persisting cry from Mundo Cani Dog who, against the will of Lord of the Coop Chauntecleer, finds refuge with the hens of the coop and an array of other beasts from Ebenezer Rat to Lord Russell the Fox to John Wesley Weasel and the mysterious Dun Cow who appears at crucial turns in the fable. Chauntecleer brings order to this world, crowing the hours summoning the beasts to work and blessing them at night. Gradually the character of this lordly rooster emerges as he takes on the Rat who is eating the hens’ eggs, and later as he rescues the children of Wee Widow Mouse and finds and rescues the Beautiful Pertolote, a mysterious refugee hen of sorts. Love blooms between these two, and marriage and chicks, even though she refuses to speak of the terror from which she has fled. What the beasts of the earth do not realize is that they are also the Lord’s keepers, who keep the evil Wyrm from escaping the underworld to reek havoc on the cosmos. But Wyrm finds a vehicle for its evil intent in an old impotent rooster of another brood, Senex, who against nature lays an egg which hatches into the wicked Cockatrice who kills his father and breeds hordes of basilisks, venomous serpents who devastate the land. In the spring, the horror comes south to the land of Chantecleer, who mobilizes the beasts (including the ants) to meet the horde of basilisks, who crows them to battle, and comes face to face with the Cockatrice and then the deeper evil of Wyrm. The climax of the story involves Chauntecleer, the mysterious Dun Cow, and the surprising Mundo Cani Dog. The tale explores the question of how a seemingly ordinary figure rises to extraordinary heroism answering a call that seems to come from both within and above.We also see a tale of the conflict of good and evil, in which the beasts, who are in fact the keepers of the earth, must forsake the ordinary loves of daily life for extraordinary peril to preserve the order of the universe. It is a tale that has been told in various forms from early English Beowulf to J.R.R. Tolkien’s The Lord of the Rings. The genius of Wangerin is to create a kind of “animal farm” without humans where the animals are characterized by foibles, nobility and self-sacrifice, unlike Orwell’s brutal world. 2. Theodore Rex, Edmund Morris. 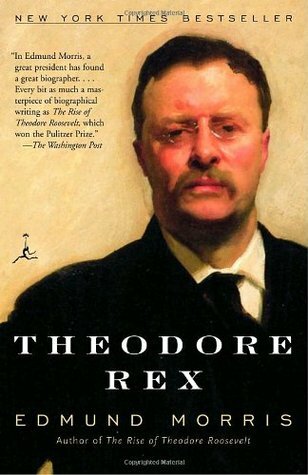 This is the second volume of Morris’s three volume biography covering Roosevelt’s years as President, from the assassination of McKinley, to the Panama Canal, to setting aside millions of acres of National Parks and Monuments. 3. Dogmatic Aesthetics, Stephen John Wright. Wright, a young scholar, proposes a framework in Christian theology for aesthetics ground in our doctrine of Christ. 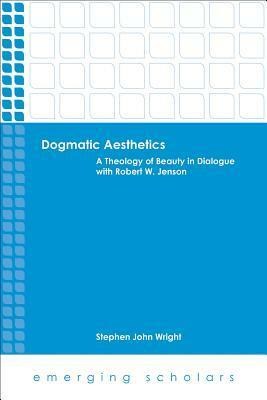 Throughout, he dialogues with the theology of Robert Jenson. 4. The Living Paul, Anthony C. Thiselton. 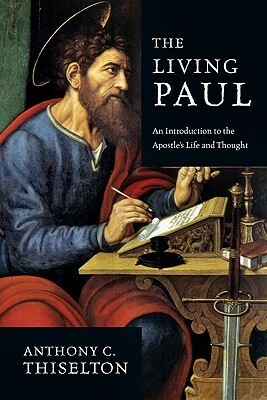 This is a concise treatment of the life of Paul reflecting recent scholarship and dealing with questions of Paul in relation to Jesus as well as Paul’s view of women. 5. Spiritual Direction, Gordon T. Smith. 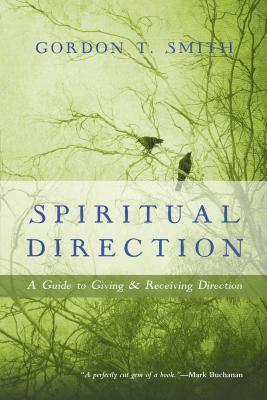 A thoughtful yet practical introduction to spiritual director that looks at the roles of both director and directee. 6. 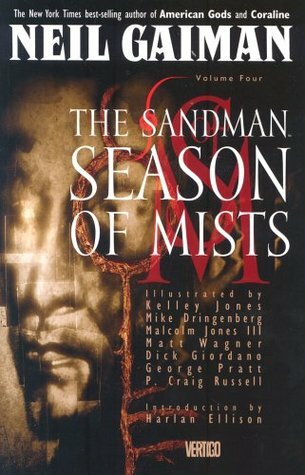 Season of Mists, Neil Gaiman. Volume 4 of his “Sandman” series and my introduction to graphic novels with this story of Lord Morpheus descending into hell to rescue a former lover he had consigned to Lucifer’s domain. 7. 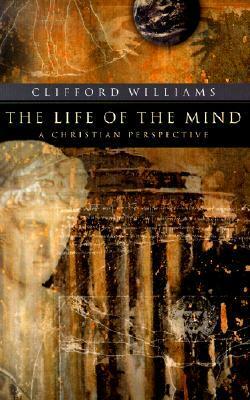 The Life of the Mind, Clifford Williams. This is another concise book that makes a good case for the intrinsic worth of thinking well, how one begins to cultivate the mind and tensions for Christians in the life of the mind. 8. Beginning with the Word, Roger Lundin. 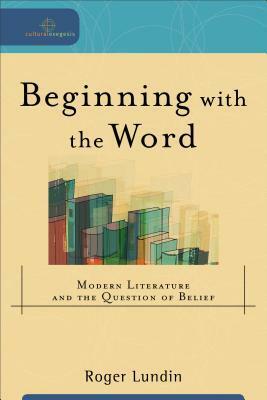 Lundin, an English professor, explores the radical doubt of modern literary theory and how a Christian framework might provide a basis for meaning and belief. 9. 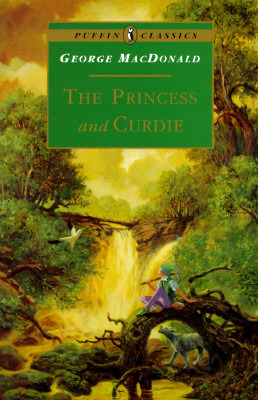 The Princess and Curdie, George MacDonald. This is the sequel to the Princess and the Goblin in which Curdie is given a special gift and employs it to attempt to rescue Princess Irene, her father the King, and his kingdom from a conspiracy of councilors and servants with malicious intent. 10. Death Before the Fall, Ronald E. Osborn. 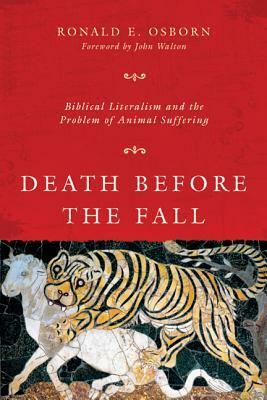 An impassioned and well-written argument dealing with both biblical literalism and a theodicy of animal predation, suffering and death, for those not accepting “young earth” creationism. The author spends the first two-thirds of the book on the issue of literalism, only the last third on the title them itself. Looking over the list for the month, I’m reminded again of the idea that with so many good books, I just don’t have time for bad ones. I hope these reviews are helpful to you in finding something good or maybe a good gift for Christmas! It all begins when Curdie, on his walk home from another day at the mines, kills a pigeon. He then realizes that pigeons were associated with the mysterious and wonderful great-great grandmother of Princess Irene. So he takes the dying bird to her, but what is restored is not merely the dying bird but the dying spark in Curdie’s life, that is being slowly quenched by coarseness and beastliness. He is bid to thrust his hands into a fire of rose petals through which the beastliness is cleansed and he is given a special capacity to discern those growing in their humanity from those descending into beastliness as he grasps their hands. This is a key theme that runs through the book, that people are on one of two roads, growing more fully human or descending to the level of beasts. Yet even for the latter there is a hint of hope as some of the beasts we encounter in this story seem to be former humans on a journey of redemption–which strikes me as an odd note, a form of reincarnationalism, or a second chance for the condemned from a Christian author. Yet this is fantasy, and the note here perhaps is one that the power of redemption is greater than that of beastly evil. Curdie is sent by the great-great grandmother to the king’s city of Gwyntystorm along with Lina, a fierce, ugly, dog-like creature who is intensely loyal to him. He is not told his mission but that it will become apparent as he obeys and properly uses his gift. It is apparent from the moment of their arrival that all is not right in the town as they are rudely treated, then imprisoned. They make their escape and find their way into the king’s castle, and quickly learn that all is not right at the heart of the kingdom. The castle is in disrepair, the servants are rude, lazy and corrupt. Worse yet, the king’s councilors are conspiring and the king’s doctor is slowly poisoning him as he lies ill in tormented delirium. Princess Irene is at his side, using all her powers to comfort him, while not fully grasping the evil plots surrounding her and the king. The remainder of the story unfolds how Curdie and Lina accompanied by a host of beasts and a few who remain faithful to the king attempt to save king, princess, and kingdom from the corruption that has crept into the heart of Gwyntystorm. The image of Curdie as one sent on a mission the nature and end of which is not disclosed rings true for any who have taken up the life of discipleship. We do not always know into what the faithful use of gifts will lead us. Similarly, success is not a matter of compromise with evil or having the assurance that all will turn out well but the faithful pursuit of the right, leaving the results and consequences in the hands of Another. Once again, one sees why these stories have had such an abiding place in the hearts of both children and adults and how fantasy may sometimes speak more truly of reality than the most “realistic” stories. This is the book that G. K. Chesterton said “made a difference to my whole existence.” I am not sure that I can say the same but I did find myself impressed once again with George MacDonald’s writing and asking why I hadn’t read this sooner. Princess Irene lives on the side of a beautiful mountain that harbors a dark secret in terms of a goblin kingdom, whose rulers are pursuing a nefarious purpose–nothing less than kidnapping the princess. She and her nurse are rescued from one nearly tragic venture into the wilds at night by the son of a miner, Curdie by name, who sings the goblins away with his verse and leads them to the castle. Though chastised, the princess acquires a mysterious friend, a wise great grandmother, ageless it seems. Not all believe she exists or can see her, but Princess Irene can. Later, a strong silver thread that the grandmother has given her leads her to return the favor and rescue Curdie, when he falls captive to the goblins after repeated attempts to discover their nefarious purposes in digging under the mountain. Irene takes him to see the great grandmother, but he can see neither the thread nor the grandmother and leaves pettishly, despite his rescue. From here events lead rapidly to the climax of a goblin invasion to seize Princess Irene. I will leave you discover what happens, particularly to the awful goblin queen with stone shoes to cover her six toed feet! Like a good fairy tale or fantasy, the story works on multiple levels. We have the fear of things that go bump in the night and acts of courage and heroism and the thin line between these and foolhardiness. There is the question of what is belief–is it the delusion of believing something that doesn’t exist or the belief in something marvelous and yet the “substance of things not seen.” Both the Princess and Curdie are faced with this choice. Is there really a grandmother? Can I trust where the thread will lead me or that it is even there? How will I act when others don’t believe me? And there is the question of how one will conduct oneself in the absence of the king-papa as one awaits his return. How watchful will we be? Will Irene become who she is as the Princess and not simply a protected child? 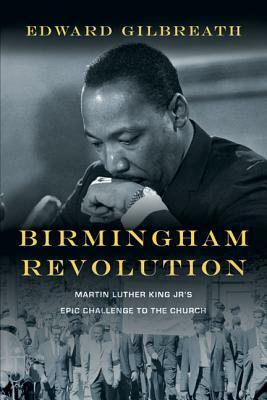 This book came as a pleasant diversion from “weightier” books and yet not from “weightier” themes. And perhaps that is the value for adults of reading a story supposedly for “children”. American Gods is a hard-to-classify book. Most consider it sci-fi or fantasy and the book has won Hugo and Nebula awards often given to books in these genres. Yet Gaiman himself described the book as “a thriller, and a murder mystery, and a romance, and a road trip” as well as a book about the immigrant experience. Whatever this book is, and I think it could be argued to be all these things, I was enthralled. I don’t read many in this genre but numerous friends had talked about it so I decided to take the plunge. The narrative begins with Shadow, the central character in the story, as he is about to get out of prison. He is released early because of the death of his wife Laura in an auto accident that occurred with a mutual friend with whom she was sexually involved at the moment of the accident. As he absorbs this news and his changed future, he meets up with “Wednesday” who wants to hire him as a personal assistant and driver. He’s given a gold coin, which he tosses on his wife’s grave, and because of this she becomes one of the walking dead, dogging his steps through the narrative, and rescuing him at several points including the climactic episodes of the story. Eventually Shadow discovers that Wednesday is a god (Odin) and traveling about the country to mobilize other gods in a battle between the ancient gods that came to America with the various immigrant peoples and the modern, high tech, material gods of the culture. None of the ancient gods seem particularly noble and Wednesday makes his way through petty “grifting” where he tricks people out of their money. Much of the first half of the narrative is a series of roadtrips around Midwestern America, and a few other locations, enlisting the gods in the coming battle. Eventually, Shadow is hidden away under the name Mike Ainsel in an idyllic community in northern Wisconsin by the name of Lakeside, idyllic except for the fact that a child goes missing from the town every year and is never found. Part of the reason Shadow is hidden away is that we discover that he is considered important to both factions of this war for a reason he does not understand. Laura rescues him from one attempt of the moderns to seize him. Eventually he is arrested and then rescued as war clouds gather. Wednesday is killed and Shadow fulfills a commitment to keep vigil over his body even though it means his probable death. Action moves between physical reality, dream sequences, and the “backstage” reality as events move toward the climactic battle in a tourist location, Rock City (a real place). This is definitely an “adult” book in terms of violence and sexuality. Unless there is more to such books than this, I’m not terribly interested. There was to this book. It explores the American landscape and the replacement of the spirituality of the various immigrants to the country with gods of technology, machines, media (one god bears this name) and more. It also explores the dark realities that often lurk behind our ideals and idyllic representations of American life–sordid and violent realities that belie the image we would project of ourselves. Most fascinating to me was the character of Shadow. Gaiman only references Christianity in passing in an overt sense yet Shadow is one of the most striking “Christ figures” I’ve come across in contemporary literature. He is central to the conflict and yet hidden. He has a surprising identity (which I won’t give away). He embraces motifs of death and sacrifice (he is in fact hung on a tree at one point) and a mediatorial role on which everything comes to hinge in the plot. This is definitely a “long read”. The edition I read 12,000 words longer than earlier editions and the author’s preferred edition. I could be wrong, but I think this work will be around for some time as an exploration of the American mythos and part of our cultural parlance. Not bad for the work of a U.K citizen, as Gaiman is!